Well Spring is here, first snow then rain lets hope for sunshine today! 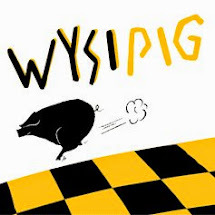 Anyhow don't worry about the weather come and see us here at Wysipig. Kevin will be serving pulled pork rolls, tea, coffee and cakes. He will have all his usual pork products on offer.